In late January, my name was announced as a winner by the KBS World TV channel. My happiness and pride knew no bounds, since finally I would travel to my beloved Korea. Saint Augustine said that the world is a book, and that those who do not travel read only one page of it. In my case, the book is only Korea and I just wanted to travel there to see its beauty and great history. On Feb. 23, 2016, I traveled to Korea for the first time. I felt fear as well as happiness because it was my first time to travel abroad, and also I achieved my dream to travel to Korea. The plane took off and headed to Doha and after that to Korea, via Qatar Airways. 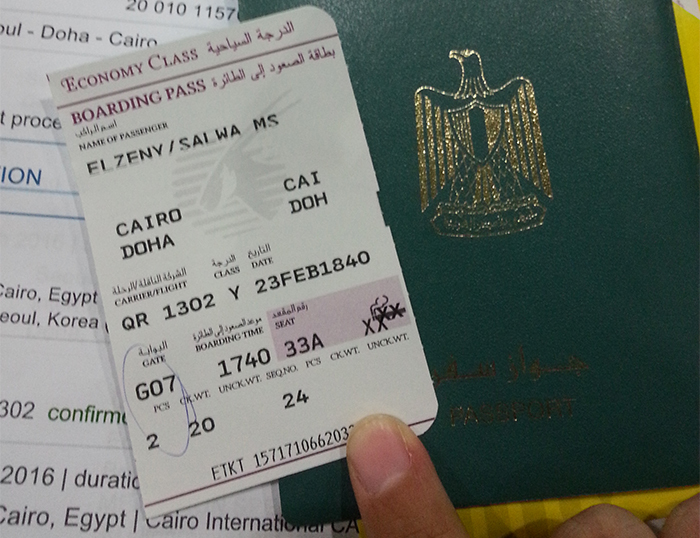 Waiting for the airplane at the Cairo International Airport. After a long flight, I finally arrived at the Incheon International Airport. 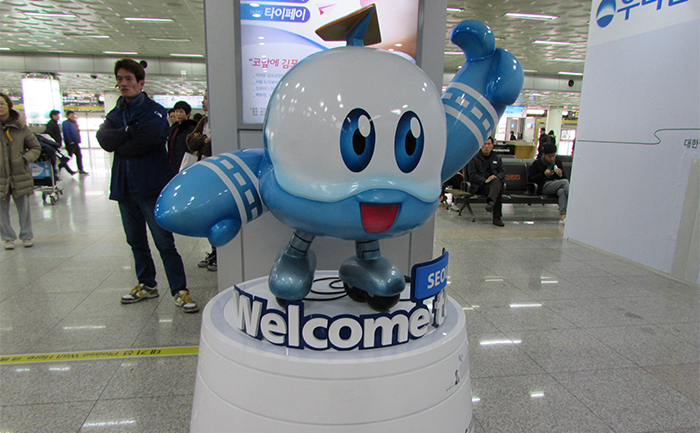 Fourteen and a half hours later, I arrived at Incheon International Airport. After that, I got on the Airport Railroad for access to Seoul Station and boarded the train for Gimpo International Airport. Unfortunately, I missed the plane to Jejudo Island, and it was the last for the day. While I waited at the airport, a policeman told me that it would close soon. For this reason, I couldn’t remain there overnight, and I had to leave the airport and go somewhere else. While I was trying to get out of the airport, I found two women from China who missed their plane, too, and, furthermore, wanted to head outside the airport. They were really beautiful and helped me a lot. We stayed at McDonald’s because it was the only place open 24 hours a day. The police were everywhere and we felt safe all the time. For this reason, Korea has been ranked as one of the safest countries for travel in 2016. We returned to the airport at 5 a.m. to board the plane to Jejudo. In my case, I had to stay until 6 p.m. to board my plane, so I stayed at Gimpo International Airport for more than 10 hours. After that, I arrived at Jeju International Airport and boarded the bus No. 600 to the M Stay Hotel in Seogwipo where I remained. I found a lot of hospitality when I got to the hotel from all the staff at the hotel. They helped me and I went to my room to get some rest and to commence my journey the next day. 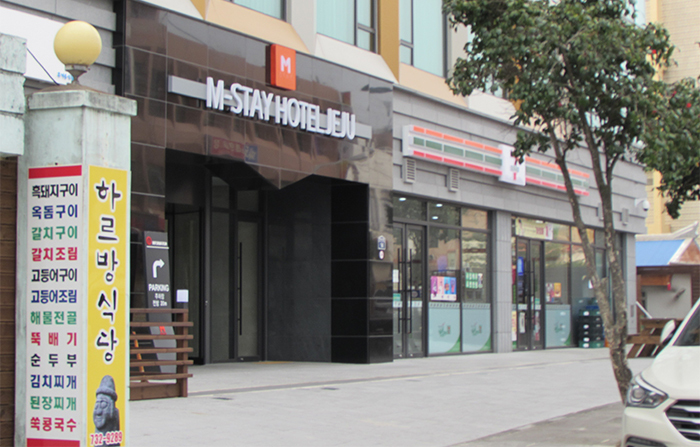 The M Stay Hotel at the Seogwipo, Jeju Island. The splendid view from my room’s window. I woke up early in the morning to arrange my stuff and went to the Seongsan Ilchulbong Peak (성산일출봉), a UNESCO World Heritage site and just about heaven on earth. The magical, fabulous place is inspiring to all its visitors. It’s a place for recreation and to rest your soul. I spent a pleasant and beautiful time there. 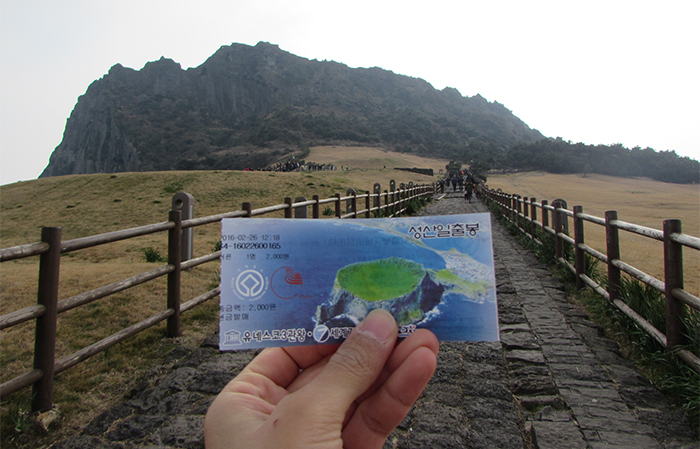 The Seongsan Ilchulbong Peak is designated at a UNESCO World Heritage site. 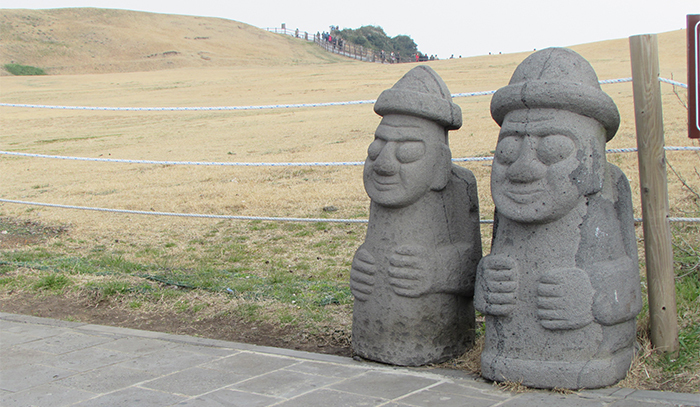 Dol hareubangs are greeting my visit to the Jeju Island. They are large rock statues and are considered to be gods offering both protection and fertility. A selfie at the Seongsan Ilchulbong Peak. 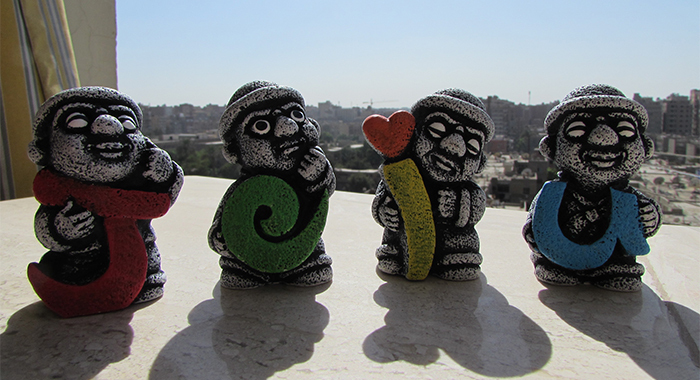 Cute Dol hareubangs souvenirs holding each letter of the Island. Then I went to the Teddy Bear Museum. At the Teddy Bear Museum (제주 테디베어뮤지엄), you can find everything you want to know about teddy bears! It contains three galleries, a gift shop and a café. Furthermore, on site is a bar or restaurant, a wonderful place to meet friends, family and lovers. 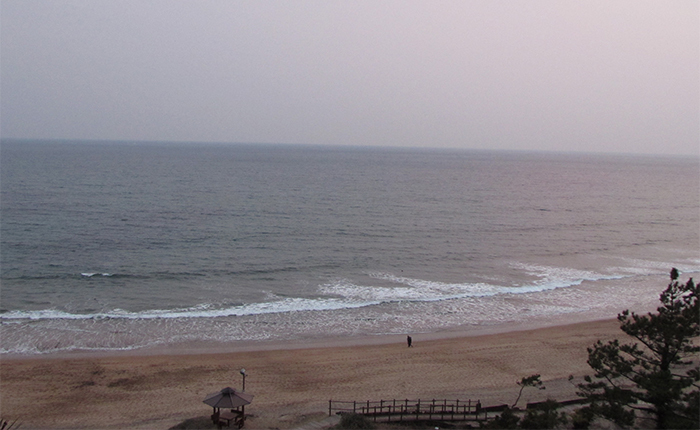 From the outside garden, there’s a wonderful view of Jungmun Beach (중문해수욕장). The Teddy Bear Museum contains hundreds of toy bears, from antiques over 100 years old to giant bears ready for you to snap a photograph. In the museum, there’s a special section for a popular soap opera called “Princess Hours,” or “The Palace” (궁) in Korean, which was filmed at the museum. It was definitely a unique and adorable experience. 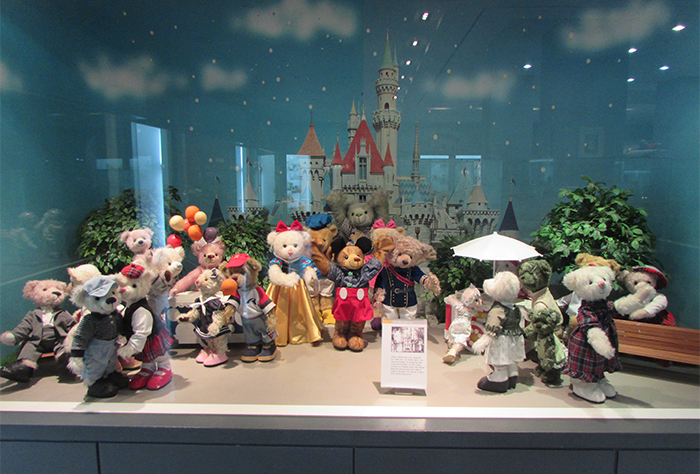 At the Teddy Bear Museum, you can see the history of teddy bears including famous scenes, popular teddy bears of different eras, and antique teddy bears. 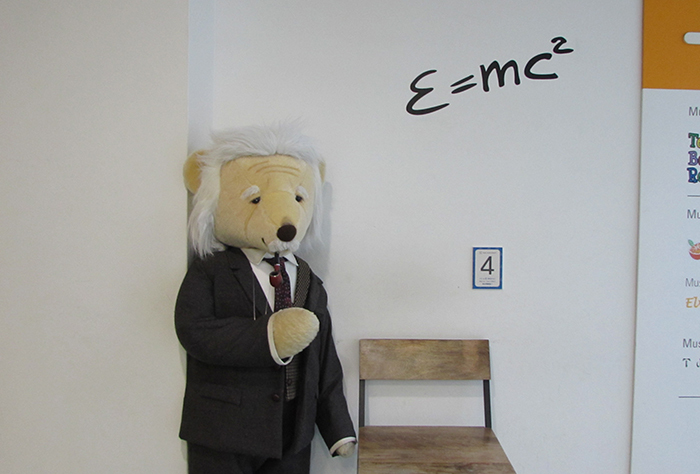 The Einstein teddy bear is on display. It seems as if it’s explaining the mass–energy equivalence theory to the visitors. 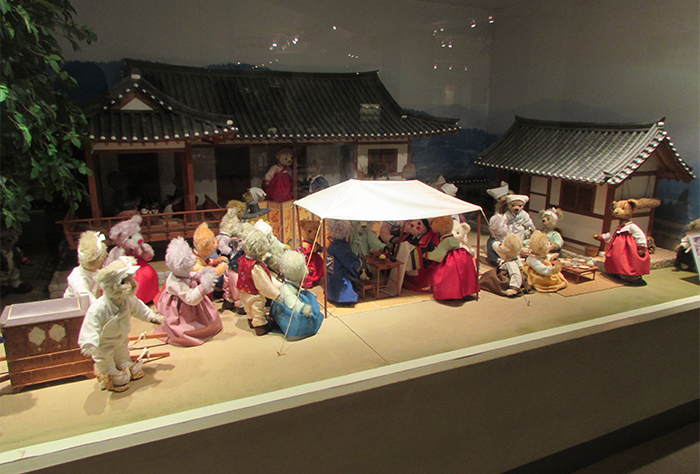 Teddy bears portraying the old Korean wedding tradition. You can visit the Jungmun Beach which can be found near the Teddy Bear Museum. 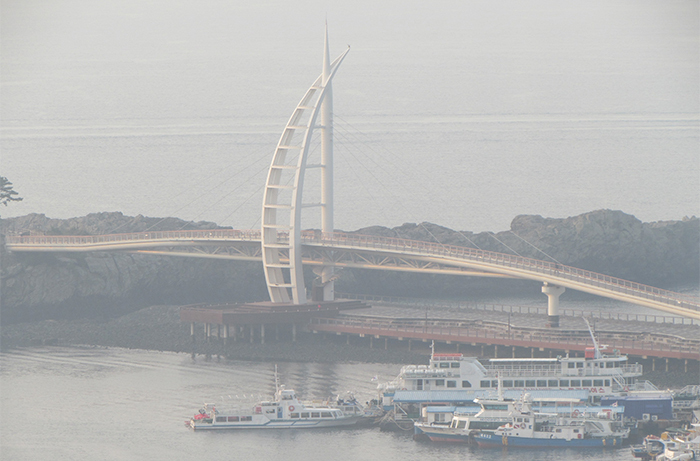 The Pungcha Lounge near the Lotte Hotel Jeju. 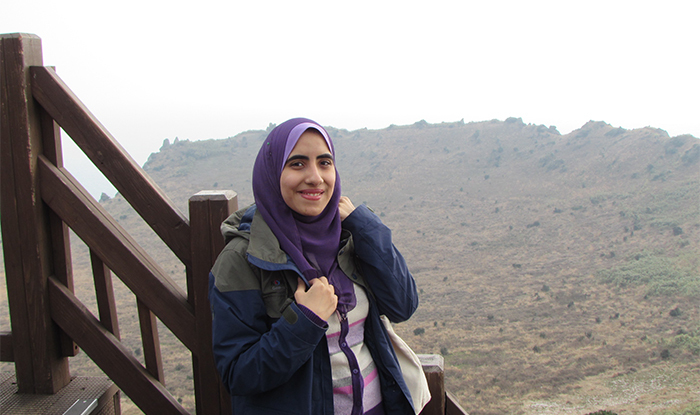 The next day, I went to Hallasan Mountain (한라산) early in the morning. 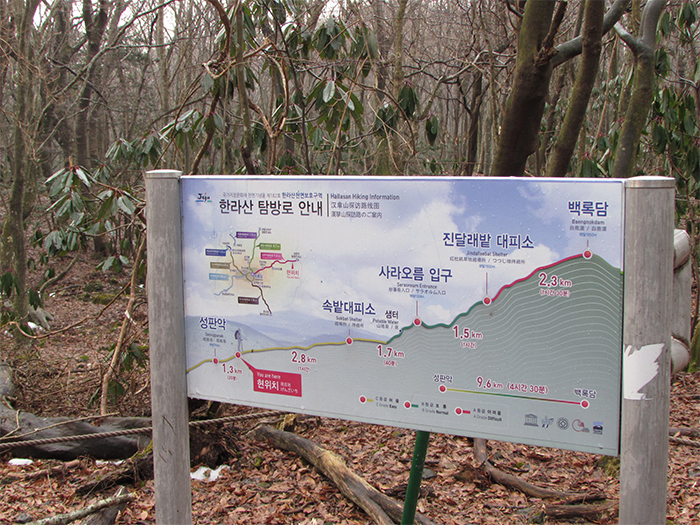 Hallasan Mountain is 1,950 meters high and is the highest mountain in South Korea. Formed from volcanic activity, the mountain is a dormant volcano made mostly of basalt. 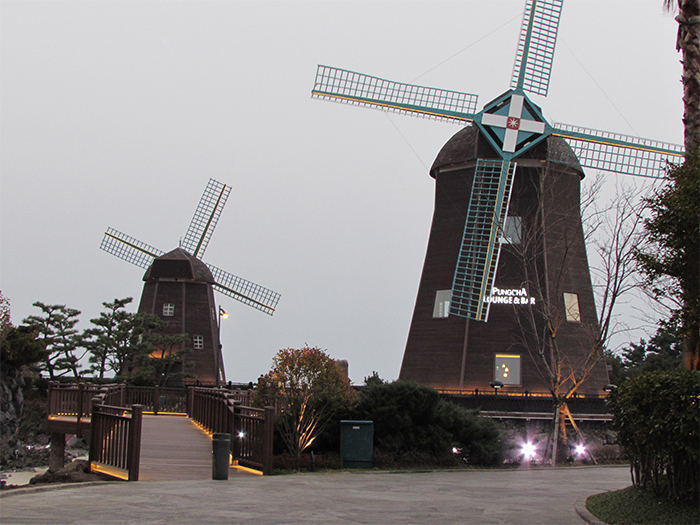 Home to the magnificent Baekrokdam lake-filled crater, the mountainside is covered with alpine flora and lush trees. I couldn’t reach the summit because of a lack of time. I wish I was able to reach the summit. It was definitely a new experience for me, however, and I loved it. Then I packed my luggage and headed to Jeju International Airport to go back to charming Seoul. Hallasan Mountain is 1,950 meters high. It is the highest mountain in South Korea.